Kenya is known to support its budget through agriculture majoring on exports of tea, coffee, flowers. However, Hass avocado is now getting a lot of attention. Kenya is in an ideal location for Avocado production since it’s in subtropical climates and avocados do well in such conditions. South Africa and Kenya are major exporters of Avocados in Africa, with hass, fuerte, and pinkerton varieties. There is a countless potential for hass avocado production in Kenya due to its climatic conditions especially in central Kenya, upper eastern and rift-valley areas. 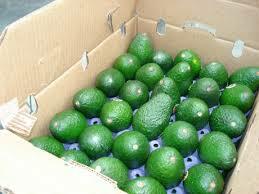 Most avocado farms are near Nairobi, where packing factories are located for export. Main avocado seasons for the Kenyan avocados is march to September but the fuerte one starts as early as February while the Hass is normally available from May. Nonetheless, due to the difference in climatic conditions and different avocado growing zones in Kenya, there are fruits throughout the year although in smaller quantities which are mainly sold locally. Also, Kenya enjoys a competitive advantage over other exporting nations mainly because the hass avocado variety harvesting period extends later in the year than Peru’s, thereby granting Kenya a window of opportunity in the global market. Hass avocados from Kenya sell in European markets at roughly three times their domestic price, making the export options extremely very attractive. More than 115,000 metric tons of avocado are produced in Kenya annually, where 70% are normally grown by small-scale farmers. Sometimes back, most avocados were traded locally, however, this trend has tremendously changed over time where now over three quarters of the produced avocados is exported overseas. This drastic change can be attributed to technological advancements called `reefer` introduced by Maersk lines has made it possible to transport Kenyan avocados beyond the middle east to Europe markets. Most farmers who grow Avocado are commonly found in Muranga, Kiambu, Nyeri, Kisii, Meru as well as Mt. Kenya regions. Over the years, Kenya has seen a sharp increase in the number of counties interested in Kenyan Avocados, and these countries are, Hong Kong, Russia, Singapore, Belgium, Germany, Netherlands, France, Egypt, Spain, Iran, Libya and many more. Leading exporters from Kenya include Mt. Kenya Avocado Farms. The nutritional benefits of avocado are another boosting factor to its demand. All over the world people knows about its benefits and the wide variety of its uses. Guacamole food, with avocado as its main ingredient is very popular especially in America, greatly increases avocado consumption and importation. Muranga county government through its Governor Mwangi Wa-Iria has started an initiative of encouraging its residents to embrace farming of hass avocados as a way of eradicating poverty as well as boosting their health. The national government of Kenya has also initiated programs that help in boosting the avocado industry to fully comply with the global requirements. Bodies like KEPHIS are actively involved in monitoring as well as educating farmers and exporters. In addition, other county governments are also helping farmers get good market rather than struggle with brokers who offer them low prices. As you read this article today, more and more farmers are compelled to start growing Grafted hass avocados, which will triple the country’s production rates for exportation. The sky is not the limit for our esteemed farmers. The future belongs to you farmer who is willing to make your hand dirty!